Considering the numerous canoes in the market with different promising experiences for fishing, it is very possible anyone could get confused in settling for one. 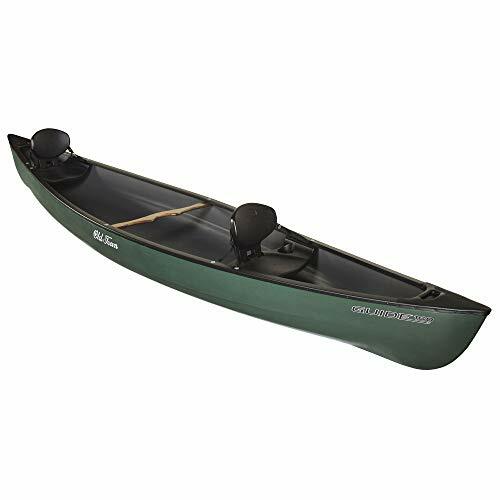 This review is a detailed evaluation of the best canoes for fishing that are most likely to suit your purpose. Irrespective of your priority, be it cost or the number of people that will be coming on board, you will surely be making a better buying choice after reading through. The Sun Dolphin Scout SS is a 14 feet canoe suitable for recreational purposes (such as fishing) and touring. The canoe offers smooth and stable sailing experience. It comes with cargo rooms that allows you to store your caught fishes and other valuables without giving up space in the canoe itself. To say that you can sail with it for a few days on water is correct but not for too long between 2-3 days maximum. Although it does not come with a motor, the design allows the use of a motor with it. But that is where most customers have an issue with this canoe. The transom is big enough to accommodate a compact electric trolling motor but there is no enough space for placing a storage battery. So, if you will prefer not to paddle the canoe and use a motor instead, you may want to have a rethink about the canoe. Aside from that, it is a good choice and can sit comfortably 3 people. It also has six built-in rod holder locations that allow you to have many baits at once for the fishes. If you are thinking of a canoe that can be easily maneuvered by kids or better say beginners and at same time will last for a long duration of time ― probably more than 10 years, you may want to take a look at this canoe. The manufacturer Old Town is one of the oldest canoe makers around today and it is regarded as the largest and most famous American Canoe manufacturer. In fact, it used to be the leading brand worldwide. This is why we cannot expect anything of inferior quality from this well-experienced company. Durable, tough and great performance on water are some words to describe the Old Town Canoes & Kayaks Discovery 158 with. The toughness is thanks to its built material, a three-layer molded polyethylene hull that shows no scratches when it runs over a rock or hard object in the water. It can seat comfortably 2 adults and maybe in addition with a child but do not bet much on its use as a lake canoe or ride on whitewater. The stability is not something to really bet on too considering its flat-like bottom that is prone to slide during a sharp turn. The first thing to know is that this is an inflatable kayak and super fit for people that will always prefer an alone time on the water. It is budget friendly and durable at least since it never gets punctured easily such as by your pet’s nails. The manufacturer scores an extra point on the accompanying pump. 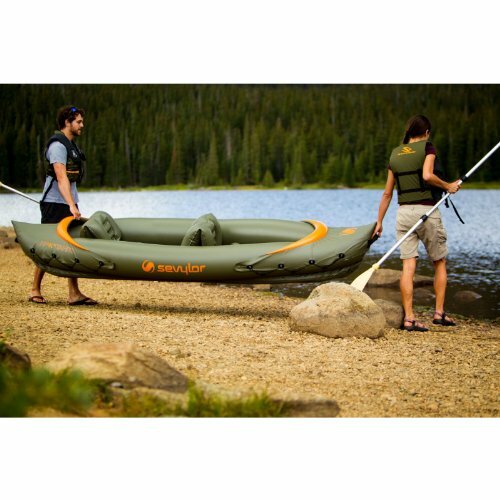 Its performance is awesome and the kayak itself deflates in seconds allowing you to pack up in no time. Just as anyone would have thought, what will happen if there is a puncture? Well, the kayak also comes with a repair patch for such a situation. The thing with inflatables is that they do well with strong current but not on the extreme anyway. The current flows easily pass underneath the kayak making required paddling force minimal. Some users who are dissatisfied with the seat height reported to deflate it but retain the backrest for better comfortability. The graphics printed on it can be sighted from afar allowing people to easily notice you. This is important for emergency situation. A piece of warning, the kayak may disappoint you in a competition because of its speed. It is better off for recreational use especially for beginners. The Sevylor Quikpak K1 1-Person Kayak is specially designed for a single person to enjoy the sea view while fishing and you can also come along with your pet. It is inflatable and therefore can be easily moved around. The manufacturer says it can be set-up in 5 minutes that will surely do if it is not your first time. 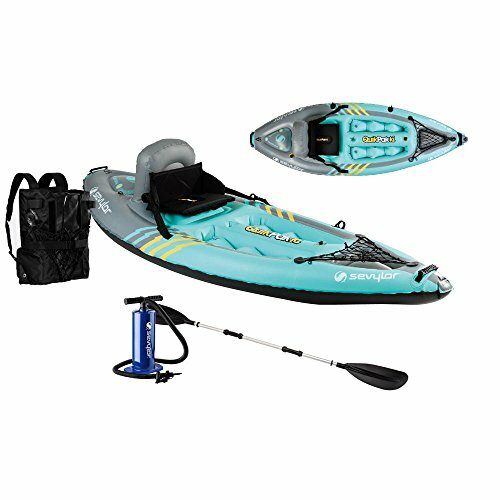 For people that will be using the kayak for the first time, it may take you about 10 minutes to perfectly get everything ready. 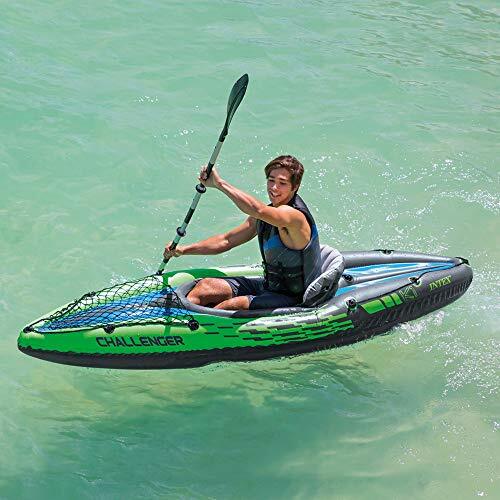 The main reason this kayak is considered superior to most kayak out there is mainly because of its multiple air chamber and double lock valves. You will most appreciate the multiple air chamber if the kayak got punctured while on the sea. While the double lock valves prevent deflation and at the same time hasten inflation. You may worry less about purchasing a backpack as the seat is capable of taking care of that ― it doubles as a backpack. For a better experience, you may want to purchase another paddle to replace the provided ones by the manufacturer. But check before doing such, if it is not too small for you, go ahead with its use. In all, if there is one thing that is guaranteed in this kayak, it is your comfortability. Plus design is also elegant. Here we are with a Kayak specially designed for the purpose of fishing. Then how is this better than others for the sole purpose of fishing? One, it is not in any way elegantly designed. So, it is not your fancy touring kayak. 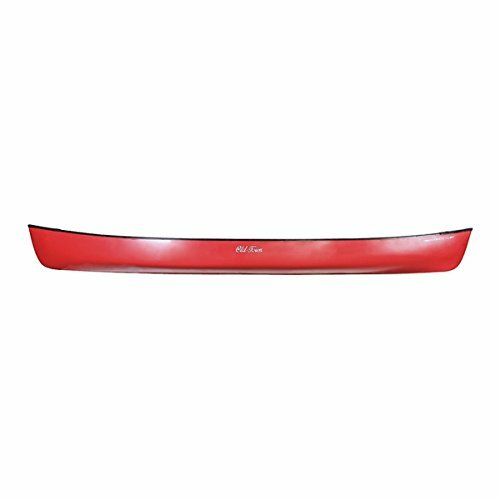 The PVC material used in its construction is one of the most durable on our fishing canoes review. And just like the Quickpak K1, the manufacturer does not forget to include the multiple air chamber in this design too. To further improve the hunting experience, it is built in olive color which makes you less conspicuous to the suspicious eyes of animals while on water. This comes with a con when looked from the perspective of safety. But since the end game is hunting and fishing, such feature is okay. Let’s talk about maneuverability, we all know a standard kayak is not something any novice or beginner can easily handle. In the case of this kayak, irrespective of your practice level, you can easily get it going on water. For minimalists, the kayak will not take up much of your car or garage space, you can deflate it and place in a backpack. 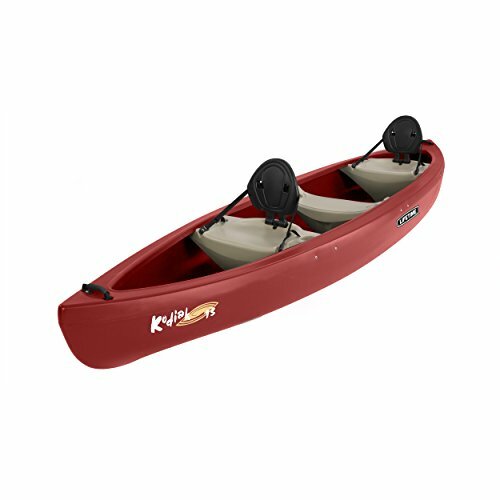 The Intex Explorer K2 Kayak does not have the “2” after “K” for no reason, it is a kayak built to accommodate up to two individuals. The built feature is not much focused on fishing purpose but if you are considering something suitable for an allrounder experience such as sporting, then this might be it. The kayak manages well in mild lakes and rivers even though could hold up in rapids and streams. With the reinforced features, you can be confident of its stability. Here is another good news too, the kayak is recommended for beginners such as kids having their first experience on the water. It is important anyway to warn them with the use of the fishing rod on this kayak. As stated earlier, its built is not well compatible for fishing but can be used for the purpose. You can expect it to last long as it is one of the affordable and durable kayaks in the market today. Only that the paddle may need to be replaced for easier maneuverability. When it comes to you and a child or pet, the weight might be of less concern but in the case of two adults with a combined weight of more than 400 lbs, the kayak is not a good fit. The SUNDOPHIN Sun Dolphin Mackinaw SS is a good choice for people looking for a family fishing boat. It is measured at 15.6 inches and can comfortably sit three people conveniently. It tracks superbly and also maintains maximum stability on water. If you are thinking of making the fishing experience memorable with some refreshment, the canoe comes with cooler under the seat and also beverage holders. You can also go fishing with your gadgets. Only need to put them in the dry container which guarantees their safety. For people who do not like paddling or seniors who do not have much energy to do so, the built design allows for the addition of a trolling motor. When you decide to go alone in this canoe, try going along with your gear or something else to add some weight. If not, the canoe might feel like it wants to tip over. Aside from this, the only other problem you may encounter will be moving the canoe. It is quite heavy ― about 800 lbs and will need at least two people to carry. The name Lifetime will not be strange to you if you are a basketball lover. Notably if you have tried to shop for some basketball equipment before. 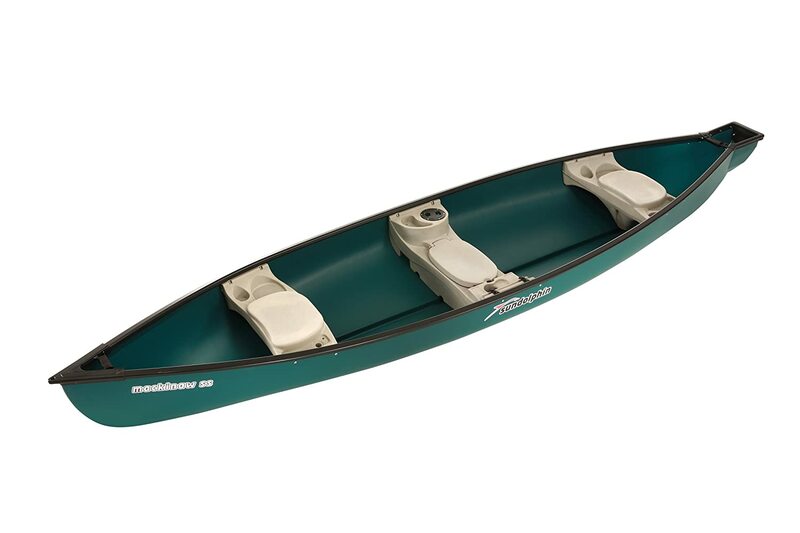 This same manufacturer produces this Kodiak Canoe and very sure of its product that it offers 5 years limited warranty. Truth be told, the canoe truly lives up to its wide media coverage, as in the wide description of it being referred “the most awesome boat to hit the water”. Talk of elegant design, it passes our test and consider comfortability, that is obvious even before you step into the canoe. Its durability is in no small part due to the choice of the built material ― blow-molded high-density polyethylene (HDPE). This material also contributes to its great stability and tracking. You can have three people at once onboard and the seatbacks are placed on each seat for everybody’s comfortability with the exception of the middle seat. For your fishing adventure, the fishing rod holders are part of the feature included with ditty trays for storing some items probably few catches. The main problem you may encounter just as it is with most canoes is transportation. Although it has a carrying handle, it is not what a single person can easily carry around. The canoe is also quite expensive compared to most canoes on our list. 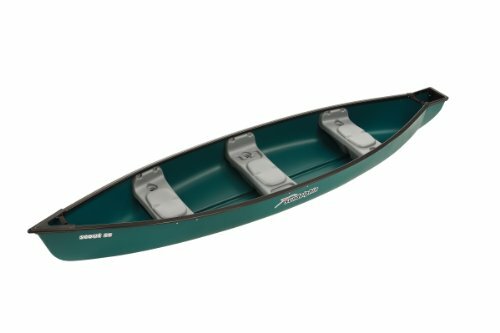 The Old Town Penobscot 174 is the perfect definition for an allrounder canoe. Good for touring, fishing and traveling on water. For once, you decide the number of people and luggage you want in the canoe. It can withstand weight up to 1,500 lbs. That is like three times of most kayaks. Its stability and tracking are no comparison to most alternatives. Even though it comes with no paddle, you can sail at an astounding speed that outpaces other canoes using any paddle. This is proof it does not only excel in stability and tracking but also speed. So, you can take it for a competition. The kayak is made for freedom. You can decide to stand and fish or even try walking and there will be no sign of it trying to tip over. All of these astounding features come at a cost anyway. The Old Town Penobscot 174 is quite expensive. Aside from that, it is a great option for fishing and any other purpose. The manufacturer offers a limited lifetime warranty. The Guide 160 combines durability, stability and great tracking and offered them all at an affordable price. It is a great choice for a family and their luggage provided the total weight does not exceed its maximum of 1,250 lbs. If you are looking for speed such as for competitions, the Guide 160 is not recommended. It is great on all other features but quite slow compared to most alternatives. But for fishing, the Guide will give you much satisfaction. Two fishermen can stand and fish without threatening its stability. You can also use it with a trolling motor and seamlessly sail flat waters, small lakes and ponds. There might be some limitation when you take it out to fast water. When it tips, it just goes like that, something like a one way traffic. But such occurrence is rare as stated earlier, it has a fantastic stability. However, you may need to be very careful with hard surfaces like rocks. The Guide easily scratches and you don’t want that. Another concern is moving it around. It is quite heavy but has handles on the deck plate to ease the stress. Before settling for any of canoe for fishing, there are important factors to consider and features to watch out for. The length of the canoe is important and should be determined by your fishing purpose and water type. The longer the length, the faster it goes. If you are considering fishing in small waters or ponds, short canoes are okay but for big waters like the ocean, you may need a longer canoe. Your canoe should be easily transportable. If it is sure you will always go fishing with friends or family, a big canoe is okay since they can help in moving it. 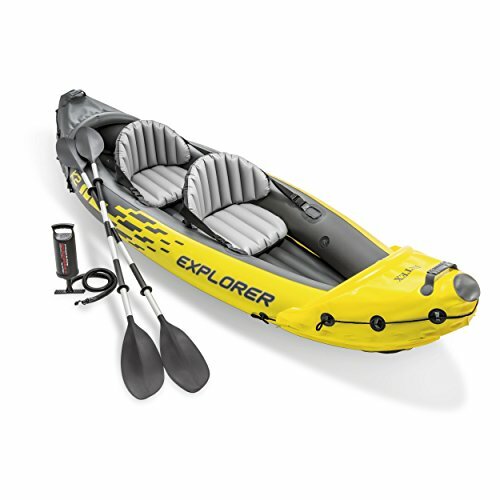 But for a lone fisher, consider inflatable kayak instead or lightweight canoes. Stability is today a must for any canoe. It gives more guarantee of safety but at the expense of maneuverability. Choose a canoe with high stability rating if you have a big body or will prefer standing while fishing. Storage should be decided by the number of people you are willing to bring on board. A canoe for one person will need a smaller space for storage compared to that for three or more people. Having enough storage gives more room for your convenience while seating. Of course, you don’t want to feel uncomfortable while enjoying yourself on water. Check out the seat and backrests quality to decide if it is something you will be okay with. Also, canoes with rod holders offer better comfortability for fishing. It is not all canoes/kayaks that have special storage space for electronics such as gadgets. In case you cannot do without your gadget while on water, consider a product that has this feature. They protect your electronics from water no matter what. This is very important not to exceed. It prevents the canoe from barging. Therefore, if you will be coming onboard with many individuals or equipment, make sure the maximum weight capacity is not exceeded. Tracking is the measure of how easy a canoe can be paddled along a straight line. Some consider it to be the resistance presented while trying to turn the canoe. Is There Any Difference Between Tracking and Maneuverability? Yes. Tracking tries to keep the canoe on a straight line while maneuverability directs the canoe in any direction you want even including on a straight line as in tracking. Can My Pets Nails Puncture My Inflatable Kayak? Inflatables are durable and cannot be easily punctured with your pet’s nails. But when driven over rocks, for instance, it may get punctured but there are inflatables that can withstand that. What Is the Difference Between Kayak and Canoe? Kayak is designed to be faster and lightweight than a canoe. This is the reason they are more preferred for recreational activities. Some of them are even designed to be inflatable for easy transportation. Canoes, on the other hand, are built for durability. They can take more maximum weight than Kayaks but usually not easily transportable. What Is The Difference Between Sit-on and Sit-In Kayak? Sit-on allows you to sit on the top of the kayak just as the name implies. While the sit-in has built structure that surrounds you as you sink in the kayak. The sit-in offers more stability compare to sit-on. But it all depends on your choice. When it comes to choosing the best canoe for your fishing purpose, there are no single criteria that fit all. You need to consider how much you are willing to spend, your weight and height, and then the number of people that will probably be coming along with you among other determining factors.